We are reckoned as one of the reliable Barium Carbonate Manufacturers in the market. The Barium Carbonate, which we offer, is manufactured using the best quality raw materials. Barium Carbonate is typically white in color and odorless or granular. It is almost insoluble in water, insoluble in alcohol and soluble is solution of acids. It is widely used in production of barium salt, dyes, ceramics, enamel, optical glass pesticides, etc. We make sure that our Barium Carbonate is packed safely in packaging bags with proper labels. We are reliable Manufacturer, Supplier and Exporter of Barium Carbonate. 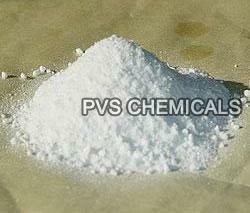 The White Barium Carbonate offered by us is widely used as an aid in reactive processing. It is also useful in welding electrode coating and making pyrotechnical products. Packing : 25/50 Kg Polythene laminated H. D. P. E. bags.